A movie review of OUR LITTLE SISTER. Sentimentality is a dirty word in the cinema thanks to its prevalence in place of hard-won emotion. But refined sentimentality can be a sublime lump-in-the-throat experience when in the hands of masters, see Frank Capra’s IT’S A WONDERFUL LIFE or Steven Spielberg’s ALWAYS. 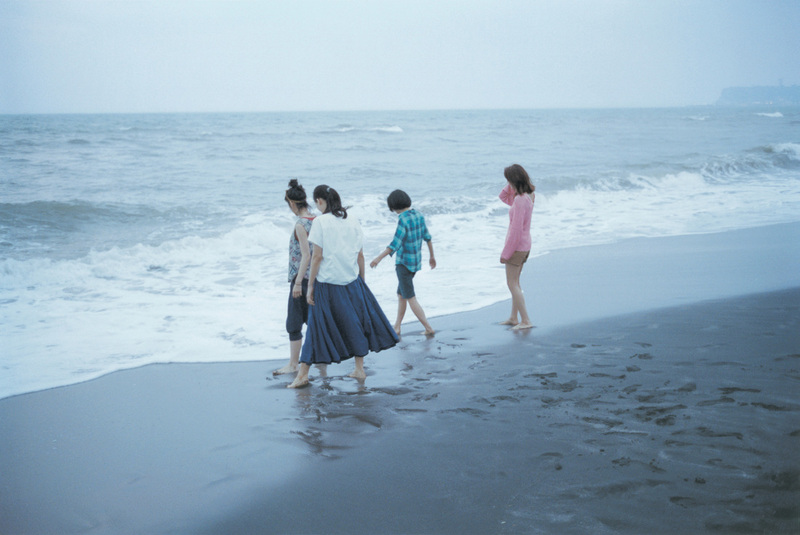 Hirokazu Koreeda’s latest may be dismissed on the grounds of hollow whimsy, by those looking for darker fair; however, OUR LITTLE SISTER is so skilful as to make the emotion seem easy when its moving concoction is a feat to replicate. A soufflé this delicate is to be savoured and also admired. Gentle pace and quiet observations ostensibly hint at an arduous 128-minutes. Not so, there is a heady humanism on display, and humour, celebrating aspirational qualities – forgiveness, self-awareness and sacrifice. 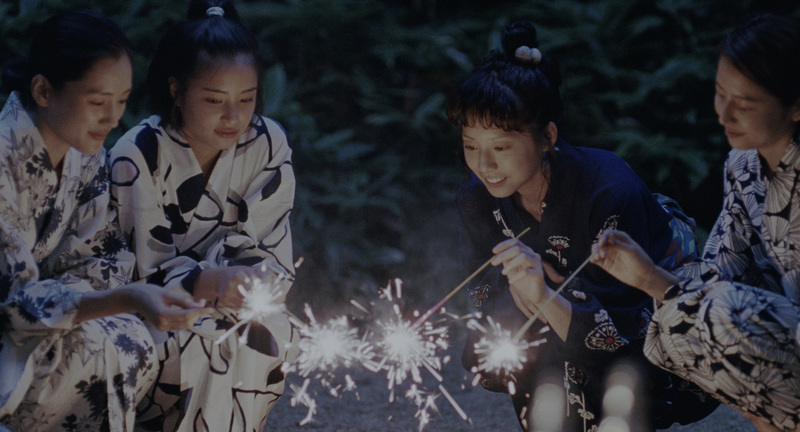 OUR LITTLE SISTER could be considered old fashioned, if not for the female-centric protagonists portrayed as in control not requiring a guy to solve their woes – a loving partner is a compliment not the focus. Sisterhood, sidestepping the twee and trite, is the movie’s raison d’être. The audience drops in on a complicated family situation. A funeral of estranged patriarch, who has left a trail of heartache, is the plot’s catalyst. Three daughters, from his first marriage, who have not seen him in 15 years, pay their respects dutifully. “He was kind and useless,” observes one. Sachi (Haruka Ayase), Yoshino (Masami Nagasawa) and Chika Koda have a positivity (that will become abundantly evident) yet a melancholy. They have formed a tight-knit unusual family soaked in parental neglect. Mother, Miyako Sasaki (Shinobu Ohtake), it seems could not handle the father having an affair and left them. We have to work a smidgen to fill the lacunae. Paramour has also passed leaving a daughter, Suzu (Suzu Hirose), of the title. 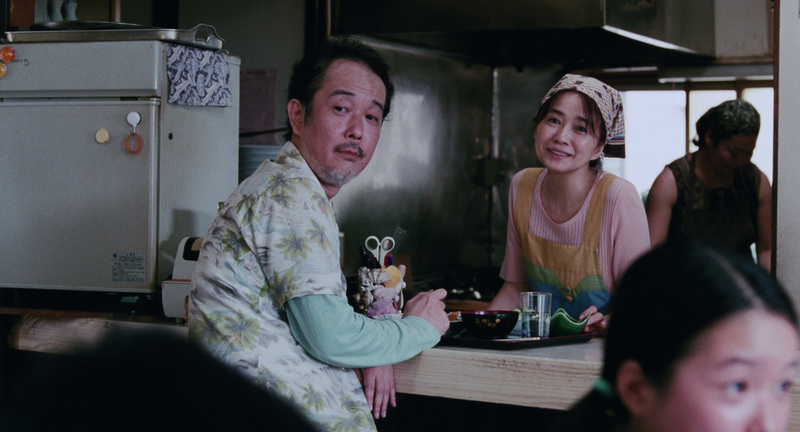 Father remarried and widower Yoko Asano is not quite the evil stepmother. Eldest daughter Sachi has taken up the mantle of matriarch lovingly, though not sans bitterness targeted at Miyako. Seeing a kindred spirit of abandonment, Sachi suggests to 14-year old Suzu to come and live in their big house in the company of her older stepsisters. Suzu jumps at the lifeline. OUR LITTLE SISTER is particularly concerned with the burden of responsibility shouldered by the oldest and youngest, the latter who wise-beyond-her-years states, “Sometimes… it becomes unbearable, someone is always hurt, just because I’m here.” The bold, unexpected invitation is the heart of the film – an extraordinary act of kindness, which commences the emotional growth, and peace long sought, for the four excellent leads. Not merely family as the bastion of empathy, it is the wider community of the seaside town of Kamakura – from a bank manager to a restaurant owner – establishing a winsome neighbourhood. What also elevates is that all the actions might be interpreted to have selfish, cold motivations: Taking in Suzu as a spiteful act to Miyako or relenting to ease conscience or charity to further business, etc. The results and intentions though are clearly intertwined –there is little fuel for any cynic who purports that no altruistic act really exists. 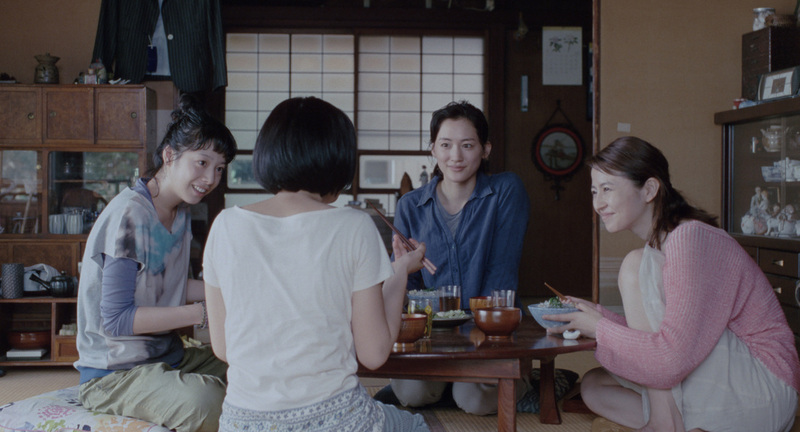 Koreeda has made the equivalent of an expressive live action Studio Ghibli movie.